My Tampa Bay Mommy : Cyber Monday Deals Roundup - HUGE List of Sales! Cyber Monday Deals Roundup - HUGE List of Sales! •Ace Hardware: 15% Off Your Online Purchase. Valid 11/28 only. •Banana Republic: 50% off Everything (no exclusions). Online only. Restrictions apply. Ends 11/28. •Carters: 50% off + Free Shipping. Plus Extra 25% off $50+ with code GETCOZY and Free Shipping All Orders! •Cents of Style: There are 20 different styles of dresses on sale from sizes small-3xl. Florals. Stripes. Solids. Starting at $19.95 and going to $29.95 & FREE SHIPPING. •Craftsy: All items on the site will be on sale, deepest discounts all year! Offer ends 11/28. •Crazy8: 30% Off Entire Purchase + Free Shipping, and an additional 20% Off with Code CHEER. Offer ends 11/28. 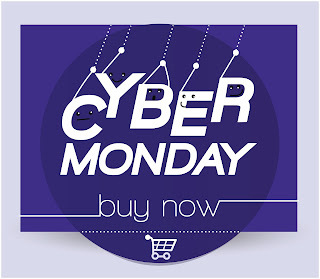 •Cricut: Get an additional 15% off, plus free shipping with code CYBERMONDAY at checkout! Offer valid 11/28 only. •Disney Store: Up to 30% off Your Purchase at Disney Store. Plus, Free Shipping! CODE: CYBER. Valid 11/28/16. •Family Christian: Cyber Monday Sale! •Gap: We saved 100s of new arrivals just for Cyber Monday. Get 50% off everything, includes brand new styles! Use code CYBMON at Gap. Restrictions apply. Ends 11/28. •Gymboree: 50% off entire purchase PLUS additional $25 Off $100 with Code BONUSDAY. Valid: 11/28-11/29. •JCPenney: Extra 33% off $100 or more or Extra 25% off online. Shop over 50,000 online deals, now through 11/28. CODE: TOSAVE23. •Kohl's: Take 15% off with code FRESHSTART. •Mabel's Labels: 40% off select products. •Old Navy: 50% off Everything, No Exclusions! Online only. No code needed. Limited time. Restrictions apply. Ends 11/29. Free Cozy Socks with Any Online Purchase. Use code COZY + 50% off Everything. Online only. Limited time. Restrictions apply. Ends 11/28. •Payless: Take an extra 30% off with code ZZCYBER1 starting at 5 p.m. CST on 11/27. Plus get free shipping on orders over $25. Offer valid 11/27/16 - 11/28/16. •Robeez: Save 30% Off all Robeez socks and shoes this Cyber Monday. Code: CBMON16 ends 11/28/16. •Starbucks: 25% off online orders. •Step2: Save on best sellers at the lowest prices of the year. •Timberland: 30% Off + Extra 20% Off + Free 3 Day Shipping With Code: CYBERMONDAY at Timberland! Valid 11/28 Only! •Under Armour: Up to 50% Off UA Outlet + Free Shipping & Returns. Valid 11/28 only. •UNIONBAY: Take 50% Off Sitewide + Free Shipping! Valid 11/28 only. •Vera Bradley: 50% Off ENTIRE Sale Category and feature online exclusives. Plus, free shipping, no minimum order amount required! •Vitamin Shoppe: Take 20% Off Site wide with promo code CM2016CM! Offer only valid through 11/28! 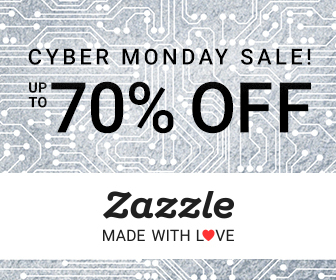 •Zazzle: Up to 70% off. •Ultimate Foods: 20% off online orders with code: CYBERMONDAY. •Restaurant.com: $2 for $25 with code CYBER. Valid 11/28 only.